Achieving great sound quality from a microphone doesn’t have to be left to chance. By following some best practices good audio recordings will become a sure thing. Properly recorded sound during your video productions should be no different than well composed and well lit camera shots. They should go unnoticed. I’m not suggesting that your work shouldn’t stand out as being exceptional in quality, but rather I’m trying to point out that good quality sound and pictures should just be part of what you expect of yourself when it comes to producing video content. Whether you’re producing a 90 minute documentary for a broadcast network or a two minute video blog post for your website, the technical quality of your work should not be part of your message. Rather it should just blend into the background. If you’re doing your job properly as an audio engineer or as a videographer – then good sound quality is just to be considered part of your job. High standards of audio quality begin with having the right tools. And your tool for decent sound begins with a good microphone. 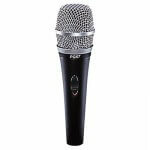 There are many types of microphone from which you can choose from, and there is also a large spread in price points to consider as well. I’m not going to spend too much time in this article detailing all of the various microphones you can choose from but I will mention the most popular types and a few of the noteworthy manufacturers. The lavaliere microphone is the most common style of mic used by news reporters and television show hosts. 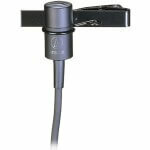 A lavaliere microphone consists of a small capsule with a thin wire running out of it to a larger connector. Because it is so small in size it is quite unobtrusive and for the most part goes unnoticed. It comes with a small pincher-like clamp that allows it to clip onto the edge of a jacket, shirt or blouse. The thin wire can be run inside of the clothing to add to the art of concealment. These microphones have a very efficient aural pick-up pattern. They are known as omni-directional mics which will pick-up sound from a wide swath and not just a narrow beam. This allows for a good quality sound recording even when the subject is not turning then mouth directly into the microphone capsule. The number one tip to remember when using these devices is first off to ensure that they have a fresh strong battery in them before using them. There’s nothing more frustrating that having to stop in the middle of interviewing someone, or worse, getting back from an interview session only to find out that you’ve lost half your interview due to dead battery. The second tip to know is that you want to place the mic fairly high up on the chest of the person wearing it. Try to locate it within 8 to 12 inches from their mouth. When interviewing someone while wearing a jacket, try to clip the microphone onto the edge of a jacket closest to the person interviewing them. That way the interviewee will be facing the microphone for the majority of the interview. Thirdly, if you’re doing your recording outdoors you have to be aware of wind noise. These devices are very sensitive and will detect strong wind sounds. Try to position yourself in an area that is shielded from the wind if possible. Failing that you should use a wind sock on top of the microphone condenser. This is a small piece of foam that slides over top of the recording head. Most good mics will have a wind sock included. If yours does not they can easily be purchased from a photo/video supply store. The other main type of microphone you could use to record your audio would be a handheld stick microphone. Unlike the lavaliere microphones’ omni-directional pattern a stick microphone relies on the individual being recorded to turn their face directly towards the mic head to ensure good sound quality. Stick microphones recording patterns are called uni-directional. There are exceptions to this for some stick microphones which are used for specific applications but for the most part what I have outlined here is a good rule of thumb to follow. When using a handheld mic there are a few similar rules to keep in mind. Most importantly is to get the end of the microphone right up in front of mouth that is speaking into it. This is critical in ensuring a steady strong audio recording. Inexperienced interviewers will often hold the mic close enough to their own mouths and then forget to hold it equally as close to the mouth of the subject they’re interviewing. It’s important to get the microphone within 6 to 10 inches from your guest’s mouth. Also ensure that you’re holding directly at them and not sideways. The best pickup signal comes in from the very end of the microphone. Wind socks should also be used on handheld mics when outdoor weather is windier than ideal. Getting the best possible sound quality from your microphone doesn’t have to be a mystery. If you follow these basic fundamental practices of good microphone techniques you will be much happier with your results and more importantly your viewers will receive 100 percent of the message which you are sending their way.